The file named EZJpeg.dll is developed by Dosadi. The program is digitally verified and signed by the organization. The UserTrust Network is the authority who signed the DLL program. With proper security patches, it is secured against any potential threats. 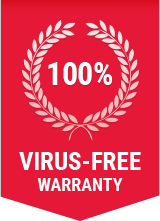 The program is not part of any malware or Trojan attack in the past. The threat level is 1. EZJpeg.dll is located in C:\Program Files\lextools\ezjpeg.dll. The total size of the file is 195.7 kilobytes. The latest version available is 3.20.0.60. The non-system process is not mandatory for Windows operating system. If found rogue, disable it and there will be no consequences for doing so. How to determine if your computer is infected with EZJpeg.dll malware? How to remove EZJpeg.dll malware from system using Comodo Antivirus? Step 8: Comodo Antivirus will remove EZJpeg.dll malware from your computer including all other malwares!